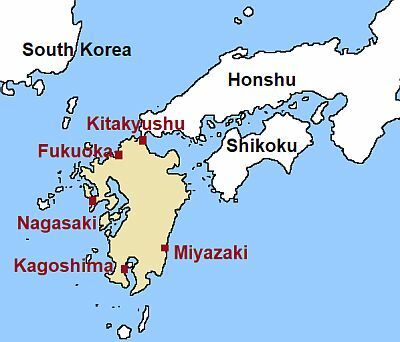 The climate of Kitakyushu, a city located on the north coast of Kyushu (the southernmost of the major Japanese islands), in Fukuoka Prefecture, is temperate humid, with quite mild winters, and hot, moist, and rainy summers. Like the rest of Japan, the city is affected by the monsoon circulation: in winter the northwest cold currents prevail, while in summer they are replaced by hot and humid currents of tropical origin. The city is located at a low latitude (we are at the 33rd parallel) but close enough to the Asian continent to receive cold air masses in winter, which are able to lower the temperature to some extent. In winter, the sky is often cloudy, as is common in the Japanese western side; there are fairly mild periods, with highs above 10 °C (50 °F), alternating with cold periods, with wind and rain, highs around 5/7 °C (41/45 °F) or less, and possible falls of sleet or snow. Snowfalls, however, are generally light, as are nocturnal frosts. The rains are abundant, in fact they amount to 1,700 millimeters (67 inches) per year. Winter is the driest season, but only in quantity; the rainiest months are June and July, ie the first period of the rainy season (called Baiu), which in southern Japan is particularly marked. In August, there is a certain decrease in rain frequency: on average, among the summer months, it is the hottest as well as the driest and sunniest. In the southwest of Japan, autumn is a decent season, and already in October it typically does not rain much. From June to October (but especially from August to early October), the city can be affected by typhoons, the tropical cyclones of Southeast Asia. 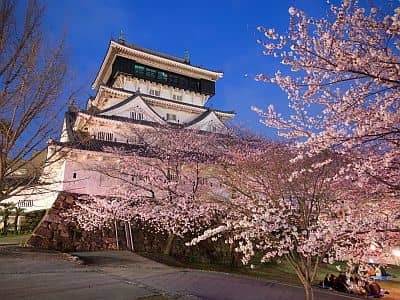 The cherry blossoming in Kitakyushu occurs around the 29th of March. The amount of sunshine is not very good, however, there are two relative maxima, one in spring (April-May) and the other in August, after the Baiu rains. In October, after the summer rains, the amount of sunshine increases a little as well. In winter, on the contrary, the sky is often cloudy. The sea in Kitakyushu in winter is cold but not impossible for the more daring; it is warm enough for swimming, with a temperature of 23 °C (73 °F) or more, from July to October, and it becomes pleasantly warm in August.